Having a straighter smile is about more than just looking great – though you will. Straight teeth are also healthier and function better. That means you’re at a decreased risk for oral health concerns like excessive dental wear and TMJ dysfunction. Your straighter smile will look and feel great and function flawlessly. Unfortunately, many patients forego orthodontic treatments because they think that metal bracket and wire braces are their only options. Luckily for our Spring Hill dental patients, we have a better choice – ClearCorrect. This clear alignment tray orthodontic system allows patients to straighten their smiles quickly and comfortably without the hassle of metal brackets and wires. If you want to learn more about ClearCorrect alignment tray braces, give our team a call to schedule an orthodontic consultation appointment at Family Dental Associates at Campbell Station. Traditional braces use wires to put pressure on brackets attached to the front surfaces of teeth to shift the smile into alignment. 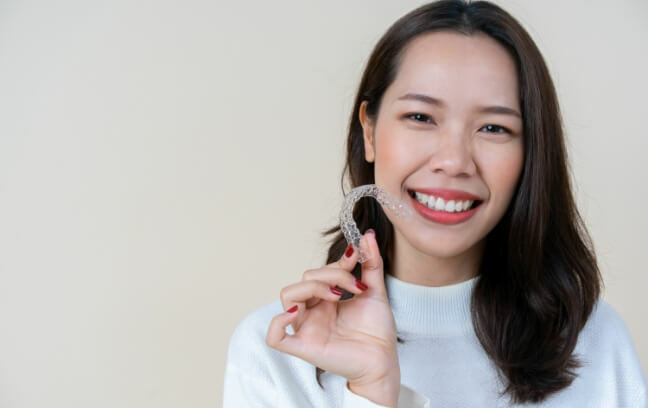 These treatments could take 18 to 24 months or longer to complete, and traditional braces required patients to visit an orthodontist every few weeks for adjustments. They also meant patients needed to avoid some of their favorite foods and spend extra time brushing and flossing their teeth. ClearCorrect streamlines the entire orthodontic process. Instead of brackets and wires, patients simply snap clear aligners into position over their teeth. 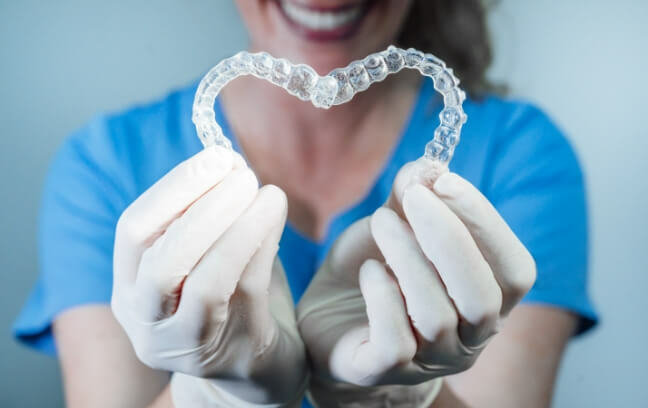 Each set of aligners represents the smile one step closer to the ideal placement, and when worn for two weeks at a time, patients’ smiles move into these new positions. Next, you exchange your current set of aligners for the next set in the series. You’ll need to visit us every six to eight weeks for brief checkups. We want to make sure your smile is progressing according to plan and make adjustments as necessary to ensure successful treatment. In most cases, patients complete their ClearCorrect treatment plan within twelve months. No orthodontic solution is right for every patient, so your treatment will begin with a careful consultation and exam. 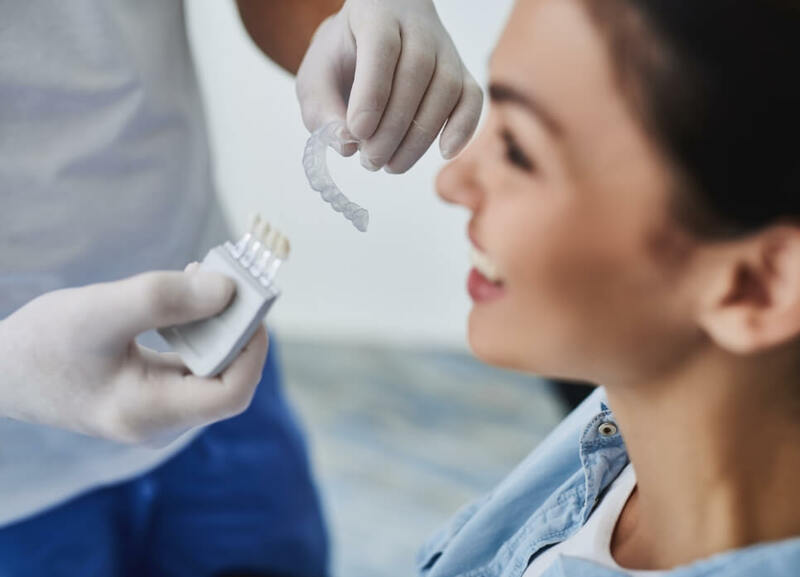 If we determine that ClearCorrect is a good option for your unique situation, we can begin your treatment right away by capturing the diagnostic images and impressions we need to design your first set of alignment trays.